Here at The Keto Cookboook we are dedicated to bringing you the very best ketogenic recipes around. 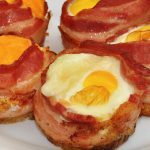 Keto can be tough at the start, but once you are bitten by the bug you will find it hard to go back! You get to eat so many delicious foods, and while not eating carbs will take a bit of adjustment, it’s a small price to pay for all the delicious fats you get to eat! So what are you waiting for? Start today and in a couple of weeks, you will be seeing results already. While we don’t sell any actual products on our site, we do recommend certain products that we feel are worthy of sharing, and if you decide to buy them, we will receive a small commission from our partners such as Amazon.com.